OK, purse junkies...what? You thought we only fabulized shoes? 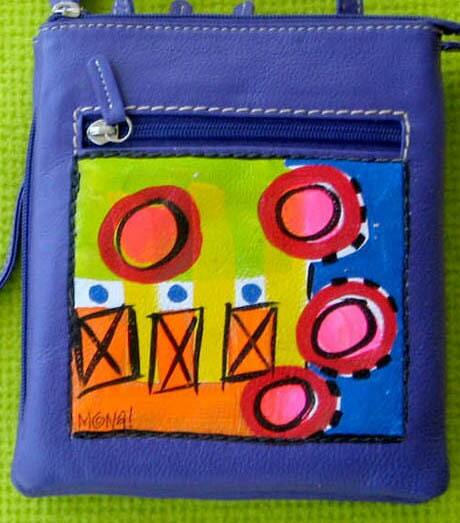 We do tons of purses and purse accessories....wallets, eye glass holders, coin purses, even hand painted luggage tags! You like zippers? We'll give you zippers! Pockets?Done! Girls, the day of the "it" bag is over! Wanna be noticed ?? 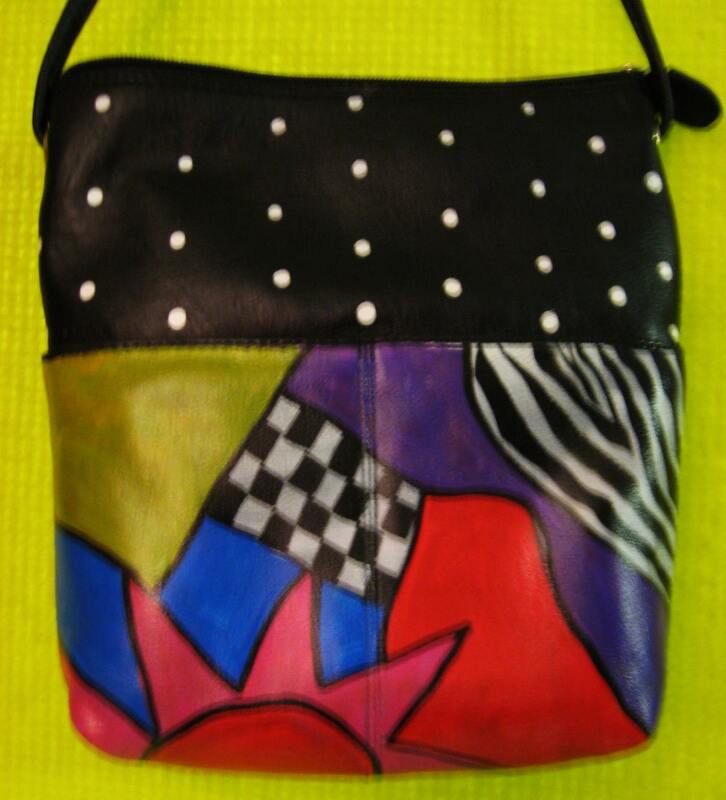 UNIQUE IS THE NEW BLACK...hand painted, one-of-a-kind, leather hand bags! Below are examples of some of the sold hand bags. many of these can be recreated...contact me! 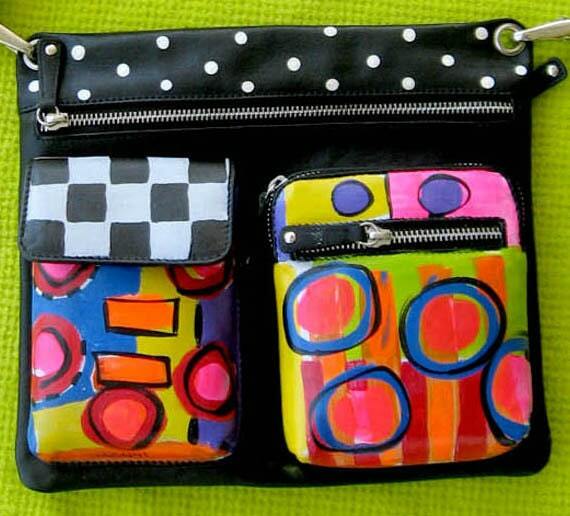 You may have noticed the same bags painted in different colorways. That's what we do! I get to make my living doing what I love...how great is that! 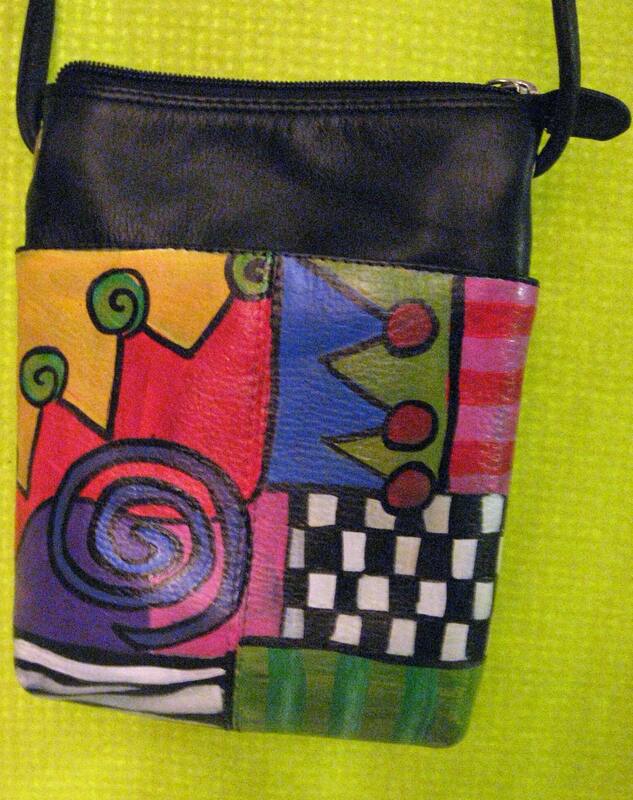 All hand painted leather hand bags by MONA! are one of a kind. The pigment is permanent and will not crack, peel, fade or bleed. Items are also coated with an acrylic for shine and durability.